If you ever wanted to play classic SNES games on Phone, iPad or iPod Touch, you’d require a suitable SNES emulator installed on your device. Unfortunately, most of the SNES and other retro game emulators are not available on the App Store due to Apple’s policy restrictions. Formerly known as SiOS, MeSNEmu is a Super Nintendo Entertainment System (SNES) emulator for iOS devices, created by Lucas Mendes Menge, which enables users to play SNES ROMs, imported to in-app storage via iTunes File Sharing. 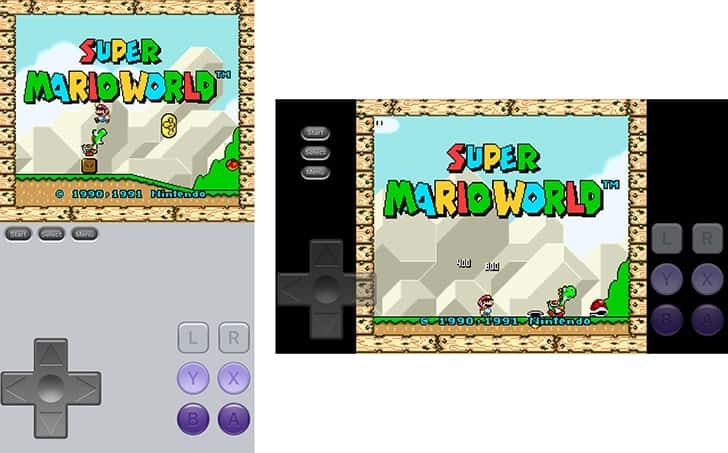 It is built upon a new SNES9X 1.53 Codebase, and includes support for full screen playback, support for SMC and ZIP imports, saved states (Save and Load), and is fully compatible with non-jailbroken iOS devices. Even though the app description mentions that it doesn’t support iOS 9.0 and above, we have successfully tested it on iPhone 7 running iOS 10. To install this app, you’d usually need to jaibreak your iOS device. However, in this article, we’ll demonstrate how to install MeSNEmu on iPhone, iPad or iPod Touch without jailbreaking the device. 2 Is MeSNEmu Emulator safe to install? In order to install MeSNEmu Emulator on a non-jailbroken iOS device, you need to subscribe to a service named BuildStore. BuildStore is a third party app store that enables you to install iOS apps from outside the App Store, without having to jailbreak your device. It uses a paid subscription-based model, and costs $9.99/year per device. On your registered iOS device, open Safari and navigate to the MeSNEmu Emulator app page. MeSNEmu Emulator will be installed on your registered iOS device. Note: You may also want to check out other SNES emulators on BuildStore, such as SNES4iOS. Is MeSNEmu Emulator safe to install? BuildStore’s content policy states that any application available on their third party app store “MUST NOT harm the device or device owner”. According to BuildStore, the apps available on BuildStore are reviewed internally for malicious code and stability. We have spoken to a company spokesperson on the matter, and he has clarified the same. Disclaimer: The article is only intended as a knowledge base for installing MeSNEmu Emulator on non jailbroken iOS devices. 7labs may not be held responsible for any misuse of the information provided in the article.